Put your Gravity Forms entries to work. Display Gravity Forms content on your WordPress website. Powering 12,344 sites and counting! We improved GravityView code 16 times in the past week. Most recently? 6 days ago. Display Gravity Forms entries on your site with GravityView. Take GravityView to the next level with Extension plugins. Full access, including our stand-alone plugins for Gravity Forms. Inline Edit Plugin - Edit entries 340% faster than before! Interested in a lifetime license? Purchase a All Access Lifetime License for $995. There’s no risk trying GravityView: if you don’t like GravityView after 30 days, we’ll refund your purchase. We take pride in a frustration-free refund process. Gravity Forms is required to use GravityView. You must have a license of Gravity Forms to use GravityView (any license type will work). 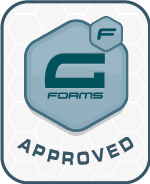 Visit the Gravity Forms website to purchase a license. Can I upgrade after buying a license? Not sure which license is right for you? You can upgrade anytime for just the difference in price. Yes! We offer a simple upgrade process through your Account page once you make a purchase. The price of the license you bought will be deducted from the total. Where are Sol, Interstellar, or Galactic licenses? “GravityView Core” was previously named “Sol”. “Core + Extensions” was “Interstellar”, and “All Access” was “Galactic”. Where can I try a demo? You can try out GravityView before you purchase to see if it works for you. Yes, there's a setting to allow users to edit the entries they create. Also, administrators who are able to edit Gravity Forms entries can edit all entries. Can I create my own View templates? Yes, you can. GravityView provides you with preset View templates, but you can also create your own layout using a Table, Listing or DataTables view type. Want to try it out? Check out our demo. Will I get plugin updates? Yes, plugin updates will appear in your WordPress Plugins page, like they do for Gravity Forms. Updates are included as long as your license is active. We have a 30-day refund policy that’s awesome: if for any reason you’re unhappy, get in touch. The license key is valid for one year from the purchase date. An active license key is needed for access to automatic updates and support. To renew your license, please log into your account. Yes. We work hard to provide great support for any issues that you have. You can contact us on our support page. Does GravityView work on WordPress.com? Yes, GravityView works with WordPress.com Business plans, which allows installation of plugins. Are you the company that makes Gravity Forms? GravityView enhances Gravity Forms, but we're different companies. Gravity Forms is developed by rocketgenius and GravityView is developed by Katz Web Services, Inc.. For Gravity Forms support, please visit GravityHelp.com.